Whether you’re a seasoned runner or a first-timer, it’s important that you get the right kit, put in the miles, and keep your body in balance with a smart recovery routine. Our official retail partner Run4It are here to help you on your journey to the start line – bringing you quality gear from the very best brands and heaps of expert, honest training advice. Run4It are offering all Edinburgh Marathon Festival participants an exclusive discount voucher. Check your inbox and Edinburgh Marathon Festival emails for more info. developing a shoe related injury. 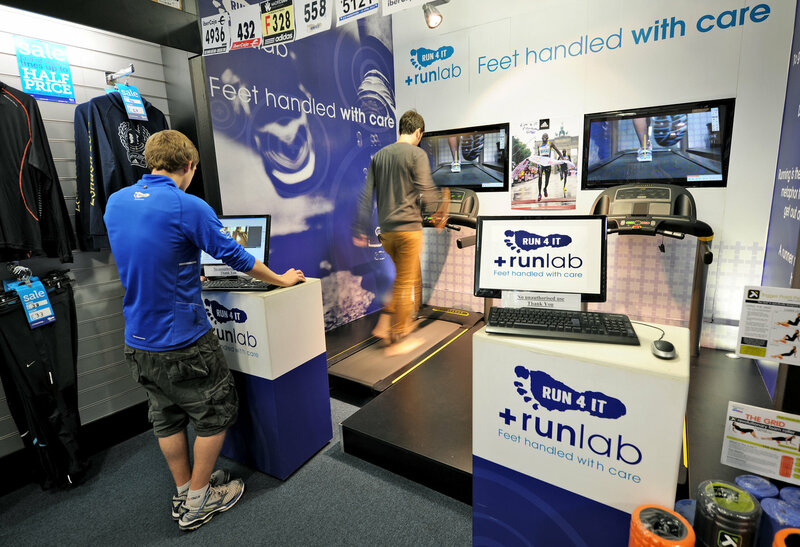 At Run4It, we will take you through our 8 step +runlab process to find the right shoe for you. We stock shoes from 10 leading brands, so no matter whether you are hitting the road, trails, treadmill or the track, there will be a shoe that suits your running style and needs. For off-road runners, we follow a slightly different process, focused on finding the correct fit and level of grip. The process is free and takes around 20-40 minutes. No appointment is required. Wearing clothes made of technical ‘sweat wicking’ fabrics will help you stay dry and comfortable and prevent chafing over longer distances. We stock a wide range of clothing, from breathable t-shirts for less than £20, through to twin shorts that prevent chafing and allow you to carry gels, through to tights that offer great support, stretch and flex. Our clothing range offers exceptional value for money across a range of different price points. If you choose to spend a bit more on premium clothing garments, you will benefit from less stitching, more breathable panels and lighter weight fabrics. The further you run, the greater demand you’ll place on your clothing; selecting clothing designed for your needs is essential to provide maximum comfort and functionality. 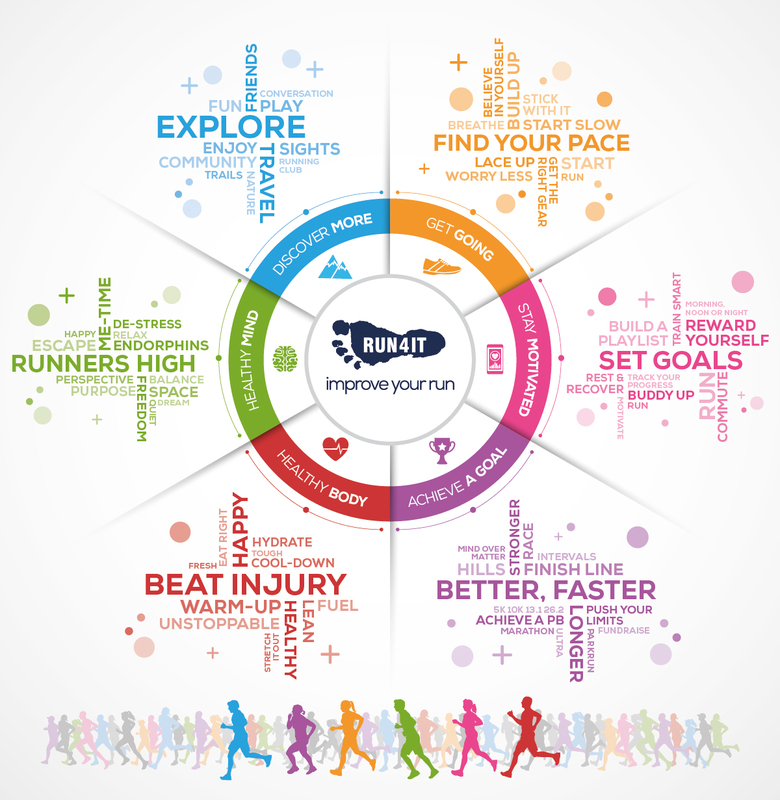 At Run4It we select a range of different styles of clothing to offer the best selection of clothing for all runners. Proper non-cotton running socks will prevent all sorts of nasties – blisters, bruises, black toenails! Cotton holds moisture against the skin and increases friction – so always go for synthetic socks. At Run4It we stock 3 different brands – all of our socks come with warranties so you can be confident that the socks you buy will last the distance. Small accessories make a big difference and are guaranteed to improve your run. Having the right waist-pack will make a long run a lot more enjoyable because you will not waste energy holding on to something or be irritated by a poorly fitting belt. We stock a range of different sized and shaped waist-packs, allowing you to store all your event essentials, including race nutrition, card and keys, and will not bounce around due to their unique design. Getting a dedicated running watch can be the key to getting the most out of your running. At Run4It we stock watches designed for every runner. Running watches can provide pace, distance and timing information and some will allow you to download detailed training plans to the watch and work out your VO₂ Maximum. Visit Run4It online or in store! Visit Run4It at run4it.com, or call in to any one of their 8 shops across Scotland. Run4It have two shops in Edinburgh – Run 4 It Lothian Rd in the city centre and Run4It Maybury at 42 Turnhouse Rd near Edinburgh Park, Edinburgh Airport and the Edinburgh City Bypass.